Updated Wednesday June 15, 2016 by Erich Weiler. 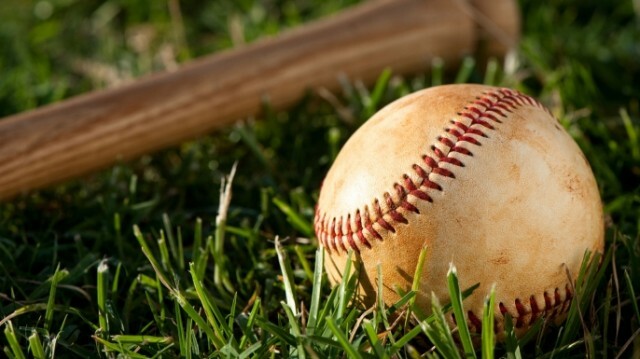 For Live Oak Little League, and all Little League in general, it's good to know what to expect during the season, and how the different parts of the season break down. Generally, you can break the season down into three parts: Pre-Season, the Regular Season and Post-Season. The Pre-Season: The Pre-Season generally takes place after teams are formed, starting in early February. The draft has taken place, and in early February or so, all the families are notified as to which teams their children have been placed on. Usually the month of February is taken up by organizing the teams and beginning practice. No games in February. The Regular Season: The Regular Season begins in early-mid March. This is when the games start to be played, after the schedules are created. All teams typically play two games a week; one game on a weekday at 5:30pm (which weekday differs depending on division and scheduling), and one game on Saturday. The Saturday game can be any time from 9:00am until 5:00pm, and we fill the entire Saturday with games from every team. Also, most teams usually have one or two practices a week outside of their game schedule, usually happening in the late afternoon. Practices are usually up to the team's Manager and Coaching staff to organize. The Regular Season continues from early March until late May. The Post-Season: For the Tee Ball and Farm Divisions, there is no post-season, and with those Divisions' last games, the games are done until next year. For AA, AAA and Majors Divisions, there are post-season tournaments that take place starting in late May, and can last well into July depending on how well the teams do in their tournaments. The Post-Season is often a point of confusion for many families. When are the tournaments? What do they consist of? Who will my child's team be playing against? Playoffs (aka "Internal TOC Games"): The Playoffs, or Internal TOCs, happen right after the regular season for the AA, AAA and Majors Divisions. "TOC" is short for "Tournament of Champions". These games start in late May. Every team in a given division will play in a double elimination tournament with all the other teams in their division. The Playoffs last about 10 days or so, ending around June 10th. The winner of the Playoffs for AA have reached the end of their season at this point! For AAA and Majors, the winner of those two playoff tournaments will continue on to the District TOC tournaments. The conclusion of the Playoffs mark the end of the season for AA, however. District TOC Tournaments: The District 39 TOC Games start right after the Playoffs, on or around June 12th, and last about another 10 days for the AAA and Majors Divisions. The AAA Playoff winner will play all the other local Little Leagues in District 39 in the Minors TOC double elimination tournament, whicle the Majors Playoff winner will play all the other local Little Leagues in District 39 in the Majors TOC double elimination tournament. The winner of the District TOC tournaments (Minors and Majors) will get district-wide recognition for a well deserved title! The All Star Games: The All Star games generally happen after the District TOC Games, but in some cases there can be overlap. The All Star teams are drafted after the Playoffs are over and are broken down into 5 teams based on the players' age: the 7/8 team, the 8/9 team, the 9/10 team, the 10/11 team and the 11/12 team. So, as an example, the 7/8 All Star Team will consist of mostly 8 year old kids, with a few very promising 7 year old kids as well. Kids selected for the All Star teams are selected based on Sportsmanship, Baseball Skill, and Enthusiasm for the game. The All Star games generally start around June 25th and can go all the way until late July depending on how well the teams do in the tournaments. The first All Star Tournaments are similar to the District TOC Games, in which our All Star teams play other All Star teams in District 39. Usually, after winning the District tournament, that team will advance to the Sectional All Star Tournament, and the winner of that tourny adavnces to the Division 2 Tourny, and so on all the way to the State or Little League World Series (the Little League World Series is for 11/12 age teams only). It is very important to note that if a player is on a TOC winning team that is playing in the District TOC tournament, and that player was also drafted onto an All Star team, that player cannot play on an All Star team if the All Star tournament for that player happens at the same time as the TOC tournament. As soon as the TOC tournament is over, that player can then transfer to the All Star team they were drafted for. This is somewhat unusual and only happens if the TOC tournament Schedule and the All Star tournament schedule overlap, which happens from time to time. Please consult with your team's manager if your child is on a District TOC team AND an All Star team to determine which games can be played, in what order. Little League rules dictate that a player MUST complete their TOC obligations before playing in any All Star tournament. All the schedules of the tournaments at the district level and above can be viewed at the District 39 Website.